Fusion Clear Furniture Wax is a fine museum quality wax based on an old family recipe. It is soft and smooth and goes on like butter! It provides a durable finish with a beautiful lustre and has almost no odour. 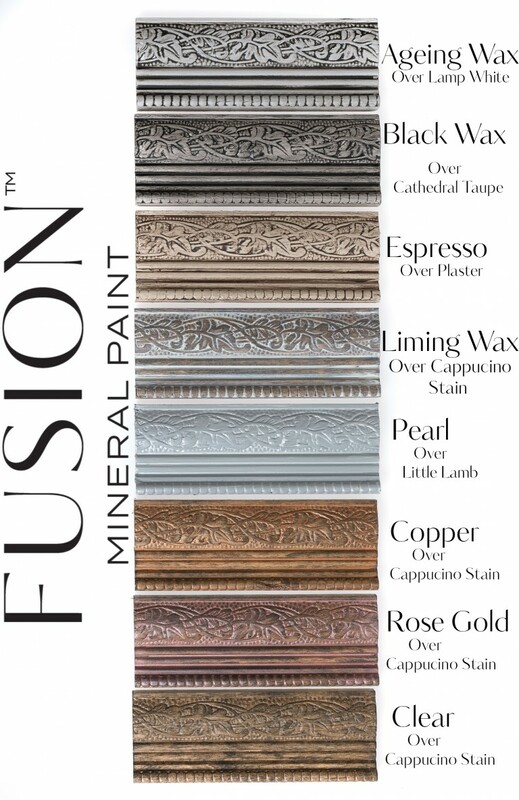 Visit Fusion Mineral Paint for more great tips and techniques! Clear Wax may be applied directly over Fusion Mineral Paint or milk paint.